Located in Wilson, this completely renovated historic log home sits on 5.63 acres of prime horse property. With a total of 5 bedrooms and 5 baths, the 2,027 square foot main home features 3 bedrooms and 3 baths, with many upgrades throughout, and the 2 bedroom guesthouse has 840 square feet - complete with a full kitchen and 2 bathrooms. Across the property you will find a mix of aspen trees, conifer's and open space creating the perfect mix of usable space and privacy. Completely fenced, there are several horse paddocks, a large barn/garage storage shed. This property is just up the road from downtown Wilson and the Wilson Elementary School. You will also enjoy frequent wildlife visits and mountain views; which include the Sleeping Indian, Munger Mtn., Gros Ventre and Wyoming Ranges.HISTORY: Before Knowles Outdoor School there was the Diamond Arrow Ranch - A Summer Camp for Boys and Girls in Wilson, WY. The stay was a minimum of two weeks and included horseback riding lessons, hiking, fishing, swimming, camping and of course a weekly Rodeo held on-site. 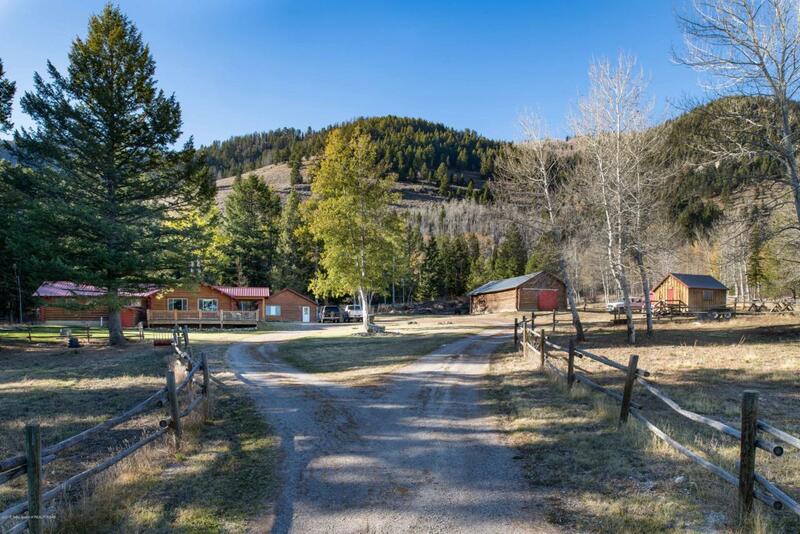 Listing provided courtesy of David & Devon Viehman of Engel & Volkers Jackson Hole.